"Real estate is not just a career, it's a passion. It's the people I've gotten to meet along the way, the people I know I haven't even met yet. I get to be part of one of the biggest investments someone can make, an investment some people have dreamed about for years, I get to help make that dream happen....I don't know if I'd be able to find that type of satisfaction in any other career. Yes, I work weekends and evenings, and send emails at 1:00AM, answer calls on holidays, or at my kids' birthday parties, and lose sleep if there is an issue on a transaction. It's called balance, and when you are happy with what you are doing, the balance is easier to find." 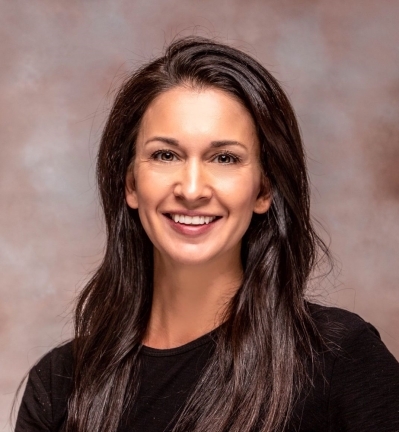 In January 2008, after receiving a degree in Early Childhood Education, working for a short time as a teacher, and having her first child, Nicole Bauder decided to make a career change into Real Estate. Real Estate had already been a part of her life for as long as she could remember. Her Grandmother, Marie Miller, was one of the first female Brokers in Montgomery County, PA and her mom, Kathy Opperman followed the same path, making Nicole a 3rd Generation Realtor. The experience she offers her clientele is a personal one. Whether you are buying a home or selling a home, she believes that building a strong and trusting relationship with you is the foundation for a successful transaction. She takes the time to get to know you, your wants and your needs. Each one of her Real Estate transactions are unique because each one of her clients are unique. Her client’s best interest is always her focus and she makes it a priority to keep them updated during the transaction by keeping in regular contact via phone, emails, or texts; whichever is most convenient to the client. After her successful years in PA and having her second child, Nicole decided it was time to expand her career into an area she considers her second home. "Ocean City, NJ, is a place I've spent my summers all my life. And to this day I still can’t help but roll down my windows to breathe in the ocean air when I cross the bridge into OC. I am really excited to work the rental and sales market down there while continuing my business in PA."
If you are considering purchasing or selling a home, from the Suburbs to the Shore, contact Nicole for a professional and personal real estate experience! "Visit My Client Testimonial Tab"